(MoneyWatch) COMMENTARY Most people never master the many intricacies of dining etiquette -- which fork to use first, in which direction to pass dishes -- but the stakes aren't especially high in that venue. Email etiquette, on the other hand, is a critically important skill to master. Email like a bumpkin and you are likely to alienate your partners, clients, co-workers... possibly even your boss. 1. Reply -- No matter what. Acknowledge promptly that you received a message. If no particular response is required, just say "thanks." If you own an "action item" but can't get to it for a while, let the sender know you saw the message and estimate when you expect to reply. But don't let mail pile up in your inbox without acknowledging its receipt. 2. If you're on the CC line, don't reply. There are exceptions to the rule, of course, but you're on the CC line for a reason -- and that reason is "for information only." Let the folks on the "to" line do their job, unless someone specifically invites you into the conversation. 3. Don't forget the attachments. Sure, everyone makes mistakes, but you shouldn't be "that guy" who always forgets to include attachments, fails to spell-check the email, or omits the subject line. Indeed, you might want to use a tool that makes sure your emails always have subject lines and attachments when you write something like "attachment enclosed." 4. Answer all questions. A favorite email trick is to cherry-pick a long email and only respond to the easy questions, or the issues you want to deal with, as if the sender will somehow forget that there are other questions left unresolved. Deal with each question or issue, even if it means acknowledging you don't know the answer. But don't make people re-ask the same questions over and over because you chose to ignore half the email. 5. Bottom line up front. I have mentioned the BLUF method many times, and it bears repeating -- don't waste your recipient's time. 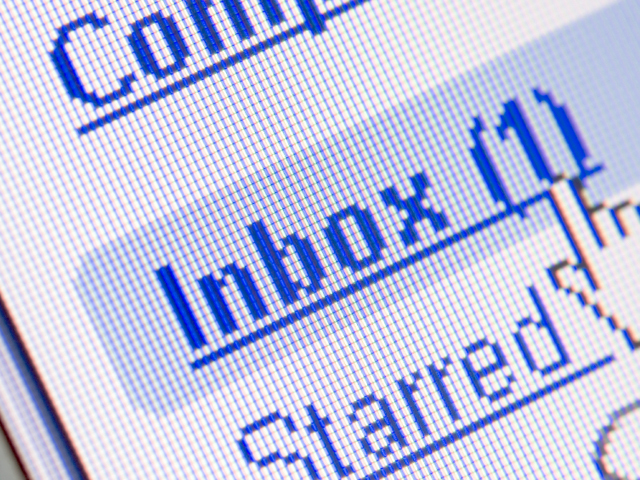 Be direct and clear about the point of the email right away, then give additional context. Don't make people wade through 300 words of back-story before they reach the action item or primary request. 6. Keep the subject line current. If an email's subject diverges over the course of a long thread from the original topic, it's okay to change the subject line. Indeed, the other recipients will silently thank you for your thoughtfulness. 7. Be careful about your tone. It's hard to read tone in an email, which is why emoticons were invented. Be careful not to inject attitude or sarcasm into your replies, and give emails that you think have "an attitude" the benefit of the doubt. Also be really careful when trying to be funny -- it's easy to misinterpret humor in email. Bottom line: No matter how you feel about the people you're communicating with or the contents of the message, go out of your way to always be upbeat and polite. 8. Lose the emoticons. Likewise, most business email shouldn't have little smileys in them. They make you look goofy and unprofessional. 9. Know the specific cultural mores at your company. Everything I've suggested here has exceptions. Learn the specific etiquette of your own company -- ask your boss or a co-worker if you're new and not sure. Some businesses want to minimize email and frown on one-line "thanks!" emails, for example. Others like a lighter tone and encourage emoticons. There's no one-size fits all guidance for how to communicate in email.